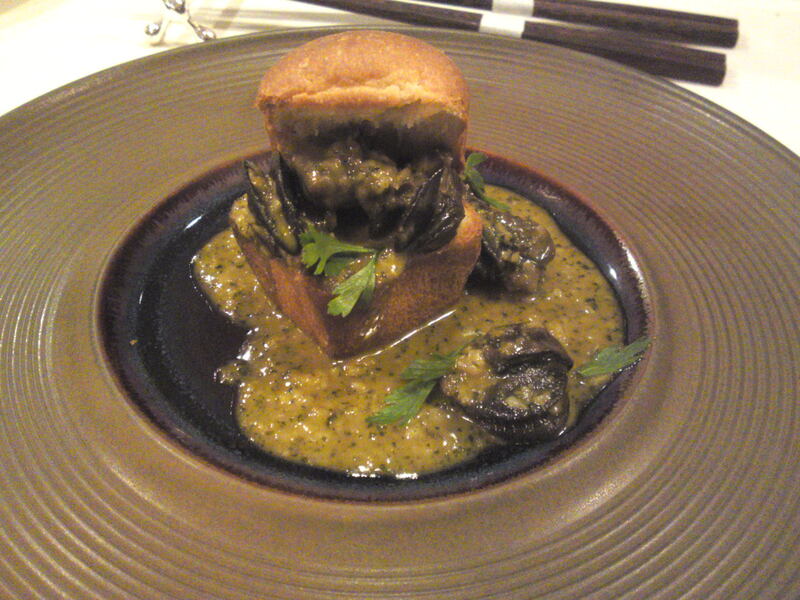 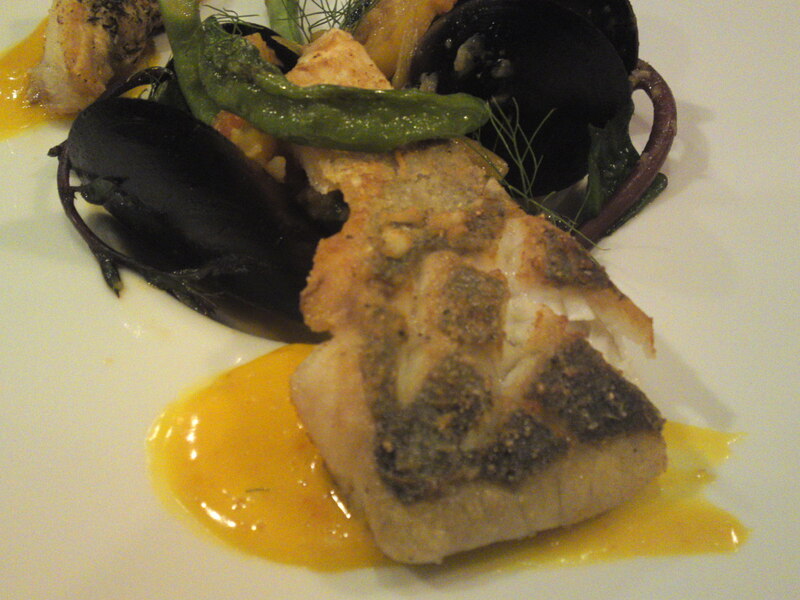 French Gastronomy: Birthday Dinner at Pissenlit in Shizuooka City! 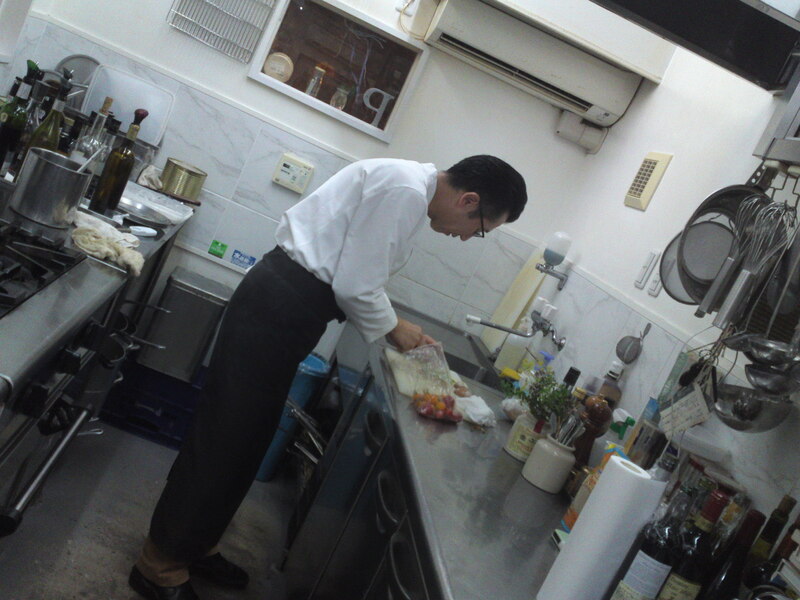 Chef Toru Arima/有馬亨さん at work! 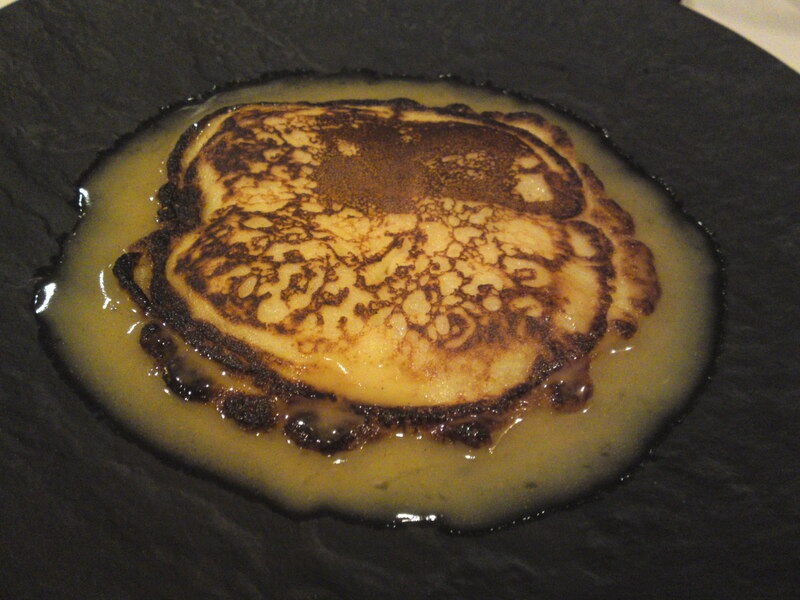 I recently (when?) 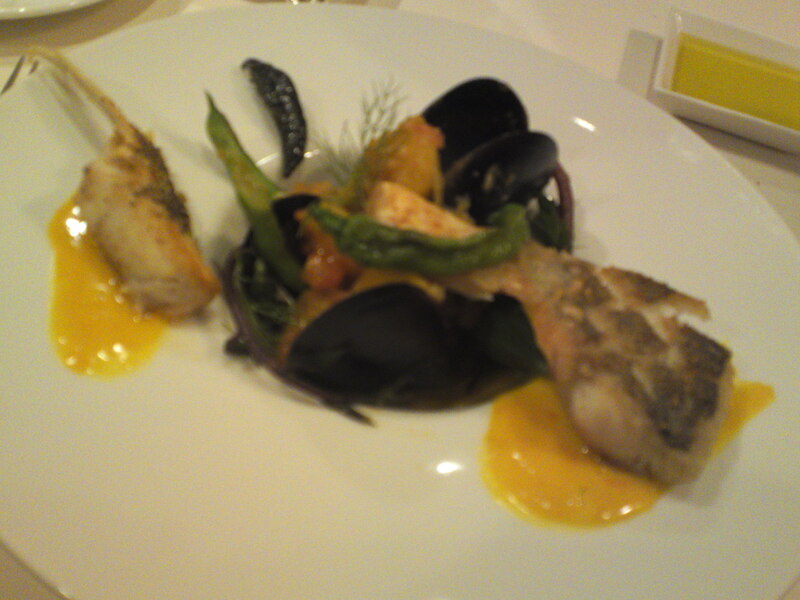 celebrated my birthday at French Restaurant Pissenlit in Shizuoka City! 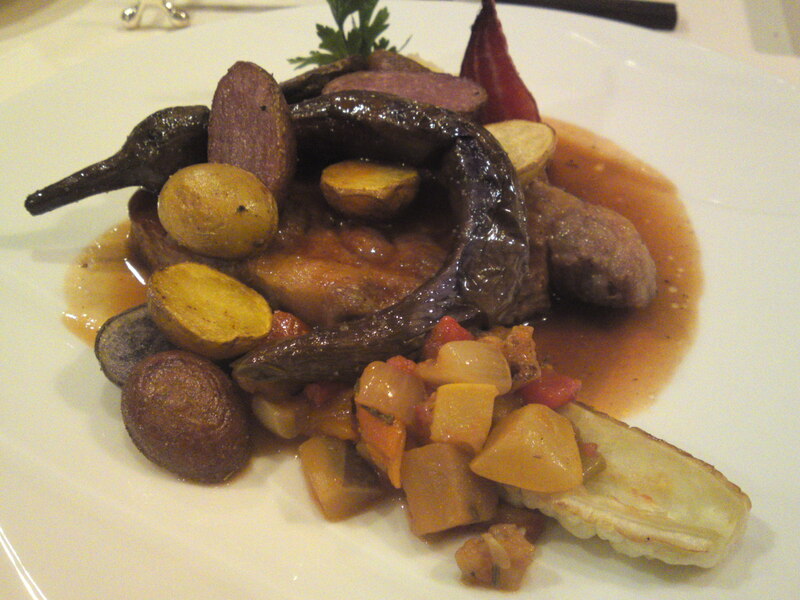 What did we have this time in my favorite French Restaurant in Shizuoka City? 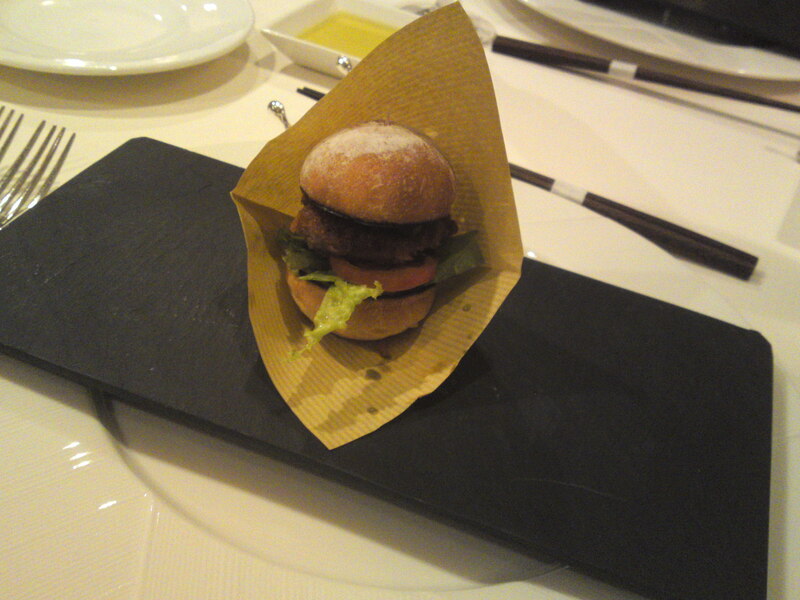 Mini “Minced Katsu pork” hamburger! 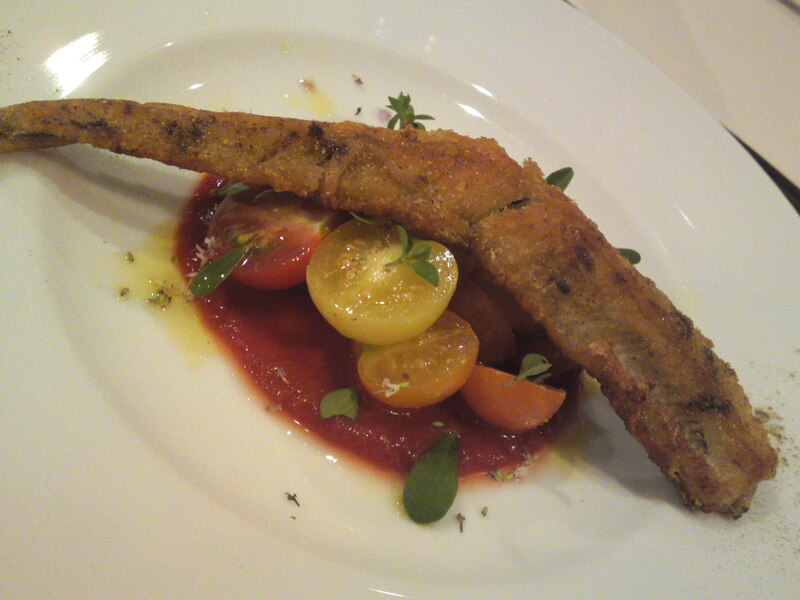 Deep-fried conger eel on an exotic tomato salad! 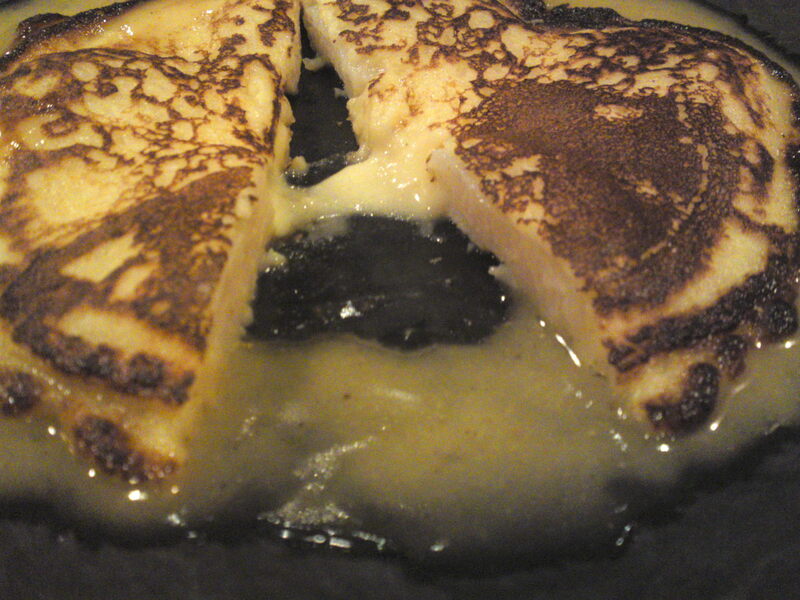 A very soft galette made of potatoes! 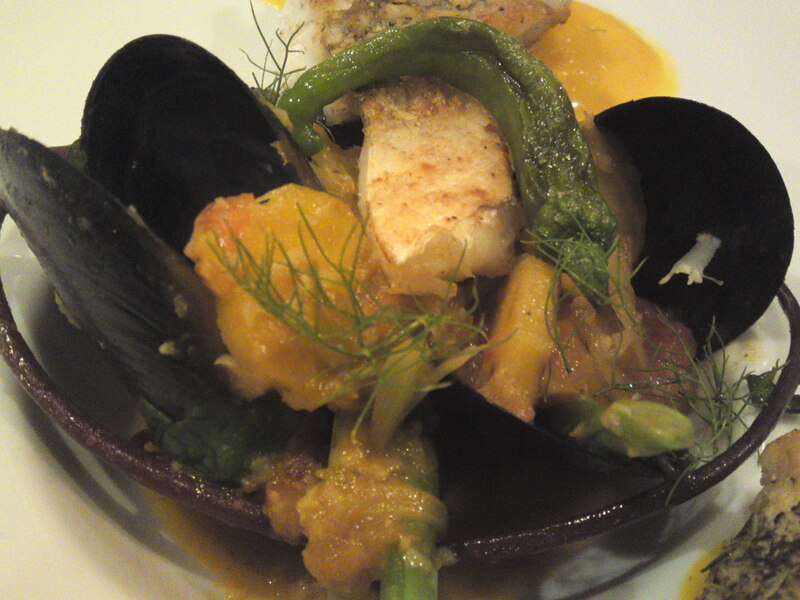 Black bass poele and its bouillabaisse! 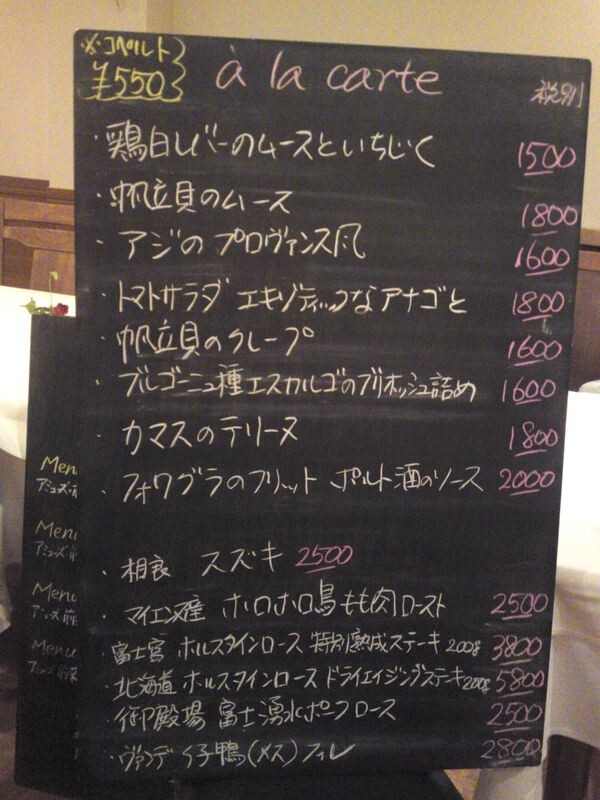 Fuji Yusui Pork from Gotemba City and Shizuoka organic vegetables! 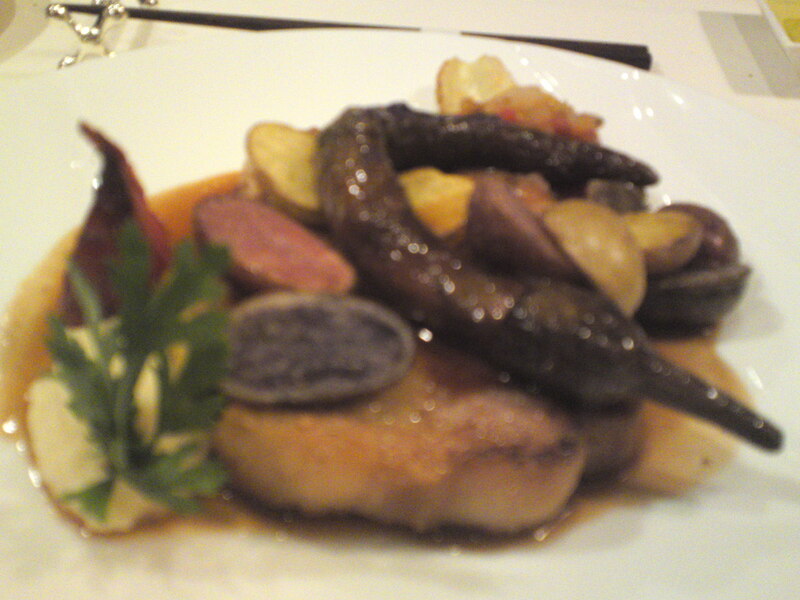 No less than five different potatoes among them! 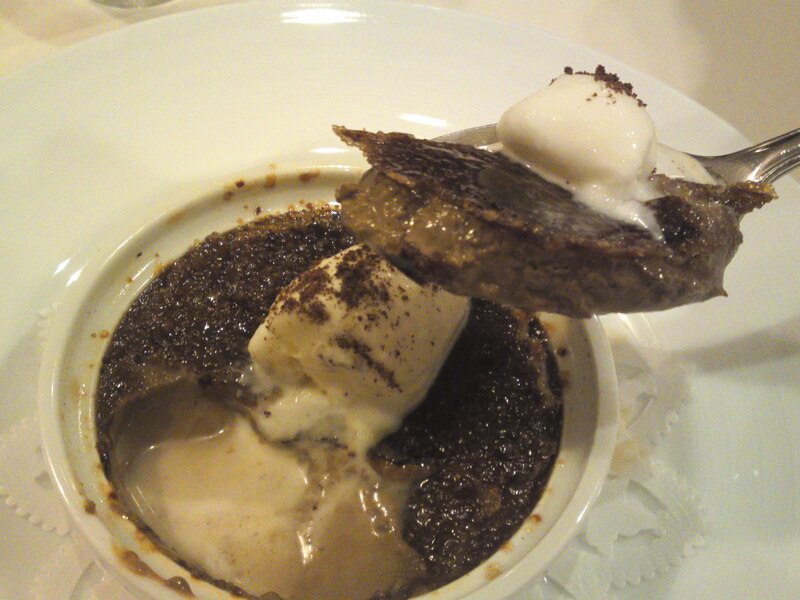 First dessert: Coffee creme brulee and tiramisu-style mascarpone ice cream! 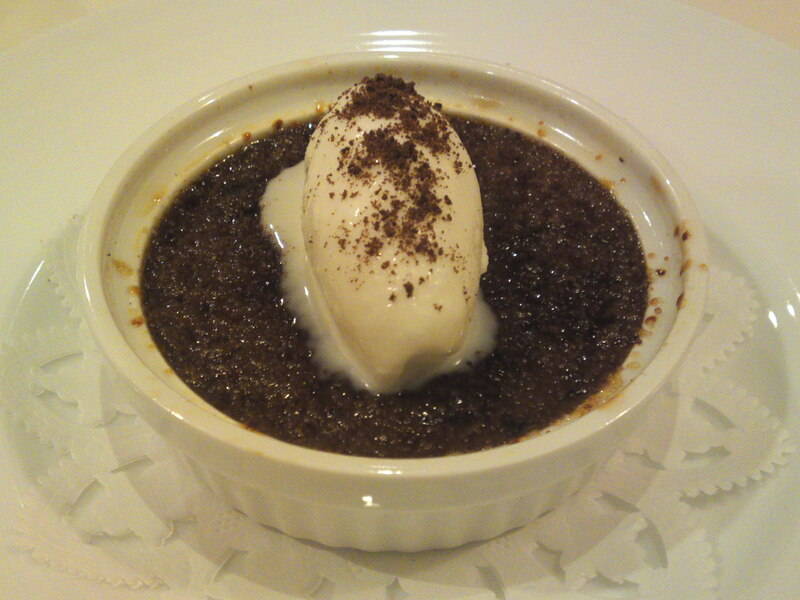 Dark and mysterious creme brulee! 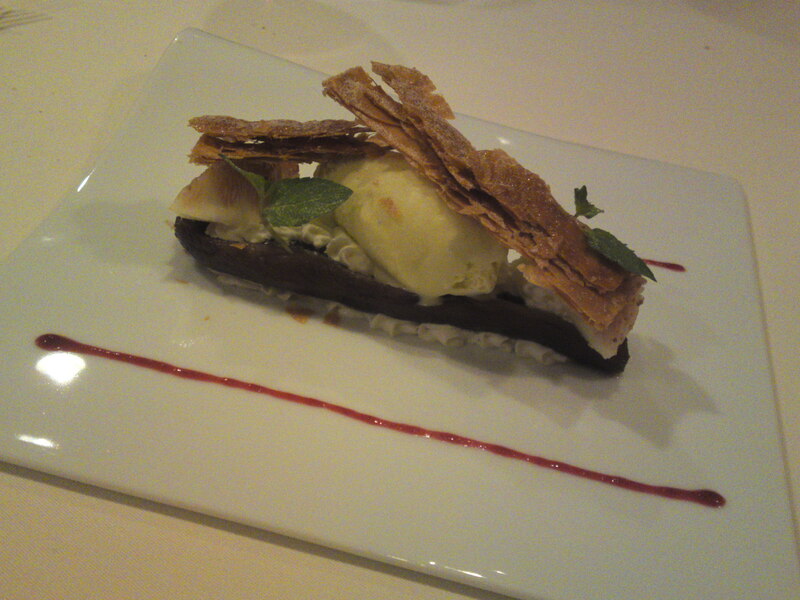 Second dessert, a very unusual one! 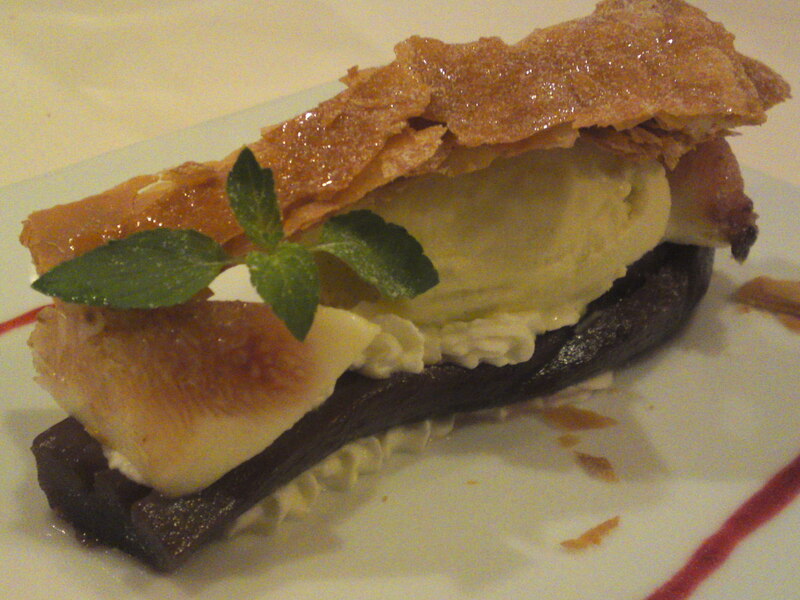 Feuillete with wine-compote of eggplant with fresh fig and mint ice-cream!